It has just been announced that Rev. Frank Schaefer will be the speaker at First UMC Austin’s Reconciling Service on April 27. Rev. 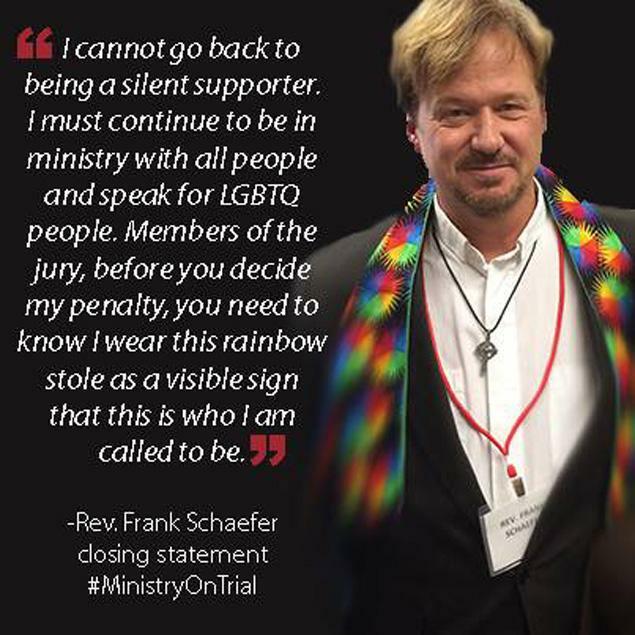 Schaefer was put on trial in 2013 by the UMC for performing the marriage ceremony for his own son in 2007. He was found guilty of violating the UMC’s discriminatory rules, and his ministerial credentials were revoked. His case is the latest in a series of church trials that are strongly opposed by MFSA.